Aviation accidents are tragic, traumatic events for the people involved and their families, as they often result in catastrophic personal injury or death. The causes of an airplane accident are almost always attributable to negligence on the part of the pilot, the ground crew, or the manufacturer of the aircraft. While these parties may be liable in a civil lawsuit for their negligence, successfully obtaining compensation can be a daunting task. Most airplane accidents involve incredibly complicated legal and factual issues that require intensive investigation and study. Meanwhile, on the other side of the lawsuit are a team of well-funded and hard-fighting defendants with vast resources at their disposal. It is imperative to have on your side attorneys who are knowledgeable, skilled and dedicated to your cause. The attorneys at Katz Wright Fleming Dodson & Mildenhall LLC have over 150 years of combined experience handling the most complicated and complex personal injury and wrongful death matters, with a proven record of success. There is no federal law requiring the owners of private aircraft to purchase liability insurance, and many private plane owners may be uninsured. Some insurance is required for certain interstate carriers and air taxi operators, but this coverage may be as low as $75,000 per person, which may be woefully inadequate in the event of a serious personal injury or wrongful death. Even if the plane is insured, violation of Federal Aviation Administration (FAA) regulations may void the insurance. Failure to comply with all the terms and conditions of the policy may also lead to a denial of coverage, even if the noncompliance had nothing to do with the crash. When looking to impose liability on a private plane owner, it is helpful to know whether the pilot and owner were in compliance with FAA regulations. Commercial carriers are regulated more heavily than private crafts with respect to inspection and maintenance routines, crew training and duty time, and other important factors which can lead to a crash. However, a private plane can become a commercial carrier simply by charging for a flight, and charging for a flight can include anything from asking the passengers to chip in for gas to charging the cost of the trip back to the business. What does all of this mean? It is critically important for airplane accident lawyers to know important subtleties like these and look closely at the facts of the case to maximize the likelihood of success. It’s also very important to have the resources that win these cases, such as renowned experts in the field of aviation and airplane safety. 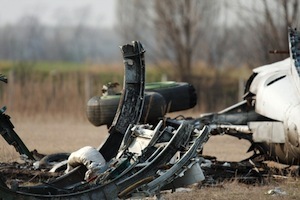 Although an airplane accident may be due to a defect in the design or manufacturer of the plane, Federal law limits the ability of airplane accident victims to impose liability on manufacturers. The General Aviation Revitalization Act (GARA) established an 18-year statute of repose on manufacturers of general aviation aircrafts and their component parts. This means that you cannot bring a lawsuit against the manufacturer more than 18 years after the craft was built, purchased or delivered to a dealer. Given the long service life of many aircraft, GARA can restrict the ability to obtain justice in an aviation accident. Courts have interpreted GARA to give broad protection to airplane makers. GARA does contain several exceptions to coverage, however, such as in cases of fraud, medical emergencies, if the victims were not aboard the aircraft, or if there was a written warranty in force. Our aviation accident lawyers know the law and look hard at every case involving a manufacturing defect to determine whether an exemption to GARA may apply. The legal team at Katz Wright Fleming Dodson & Mildenhall LLC is committed to providing you with sound legal advice and effective legal representation to get you the compensation you need and deserve. If you or a loved one has been involved in an aviation accident in Georgia or anywhere in the U.S., contact our office at (404) 460-0101 for a free consultation and analysis of your rights.